During the 2011-12 NBA season, Jeremy Lin’s 35 games, including 25 starts with the New York Knicks, was perhaps one of the most unexpected storylines in league history. After going undrafted in the 2010 NBA Draft and nearly being waived for a third time that season, Lin was given an opportunity by then-Knicks head coach Mike D’Antoni. And in Lin’s first game, he recorded 25 points, seven rebounds and seven assists against Deron Williams. It officially marked the beginning of Linsanity. 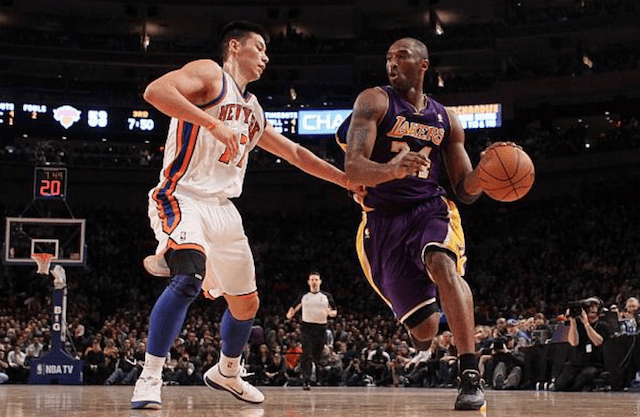 However, before the Knicks took on the Los Angeles Lakers, Kobe Bryant had ‘no idea’ about Lin or the hysteria that had developed around him. In his fourth career game against Bryant, Lin outscored him 38-34 while leading the Knicks to a 92-85 win. Interestingly enough, the two players eventually became teammates during the 2014-15 season. 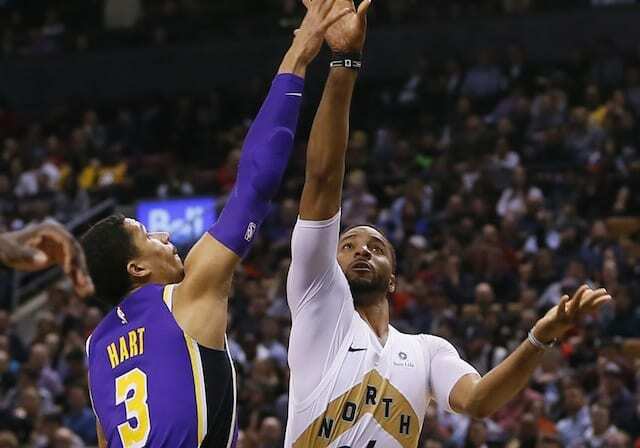 Although the Lakers were in the middle of their rebuilding process, Lin had plenty of respect for his former teammate when Bryant retired the following season.